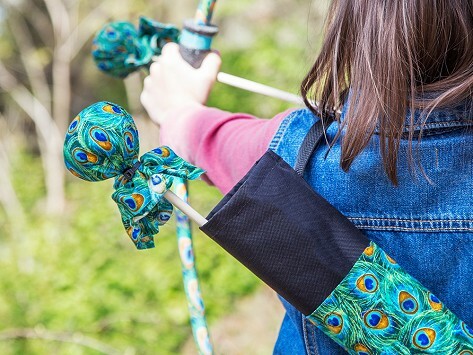 Two young brothers are the inspiration behind kids’ archery sets for outdoors lovers like them. The Made in the USA kit includes a bow, three matching arrows, a bullseye target, and a matching quiver bag. The waterproof bag stows up to five soft-tipped arrows in between practice sessions and backyard battles. Weight: Bow: 0.29 lb. ; Arrow: 0.08 lb. 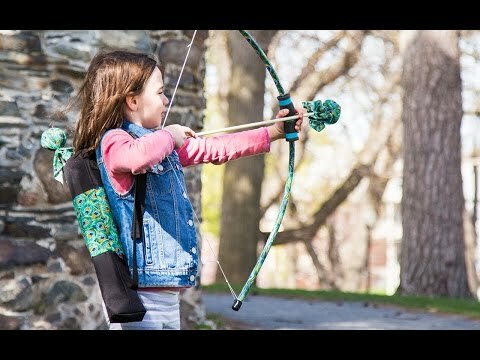 This archery kit is ahhmazing!! My granddaughter loves playing Merida in our back yard. The range and softness of the arrows makes for safe fun!!! Kids can take aim at targets or stage imaginary battles with this charming set made by two brothers just like them.